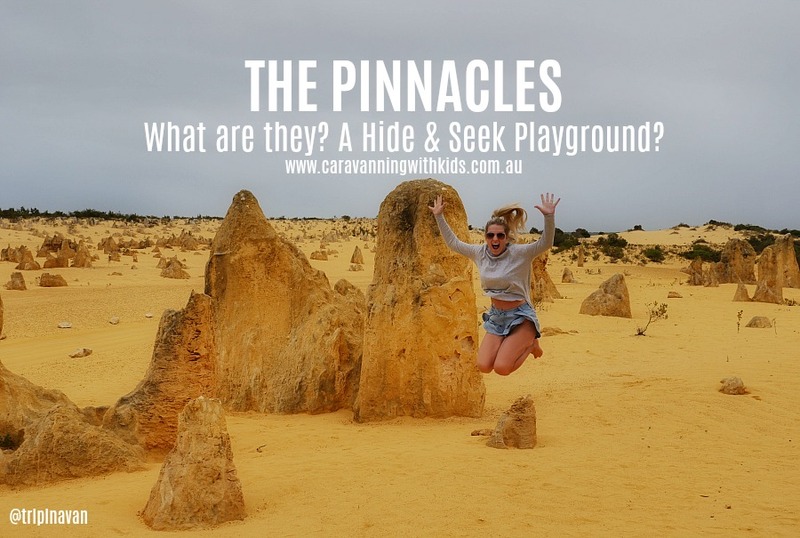 When photos of the Pinnacles pop up, they are instantly recognisable as a bucket list destination if you are touring the west coast of Australia. What are they? How were they formed? Our mates from Trip in a Van had a blast there and share with us some cool info – could it be the best hide & seek playground in Oz? 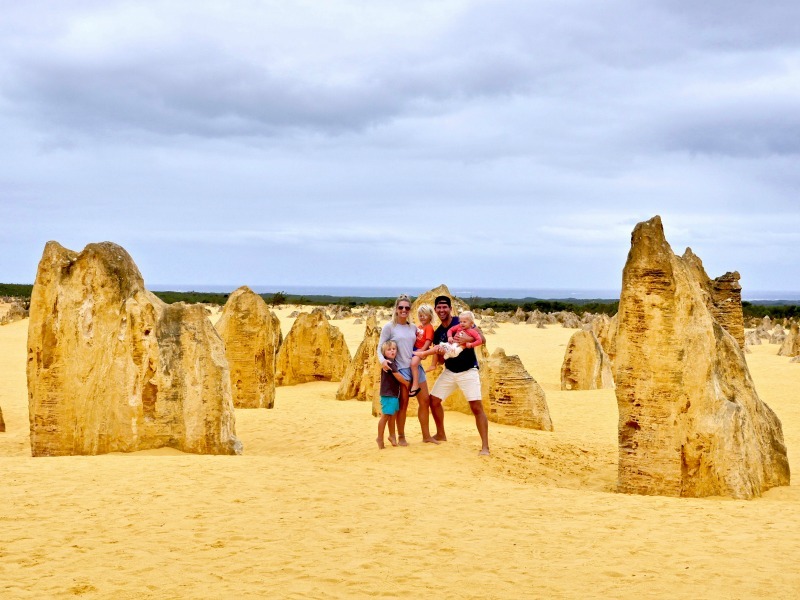 The world famous Pinnacles Desert has to be seen to be believed! 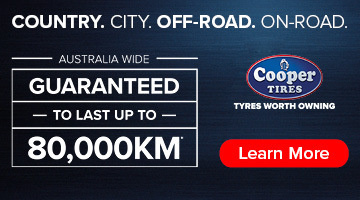 Located near the towns of Cervantes and Jurien Bay, you’ll discover a true desert landscape. These pillar-like rock formations rise out of yellow sand making for an incredible view. It’s regarded as one of Australia’s most unique landscapes and easily accessible for those who wish to check it out. Attracting around 250,000 visitors per year, the Pinnacles desert covers around 190 hectares. Some of the limestone pillars reach up to 5 metres high. 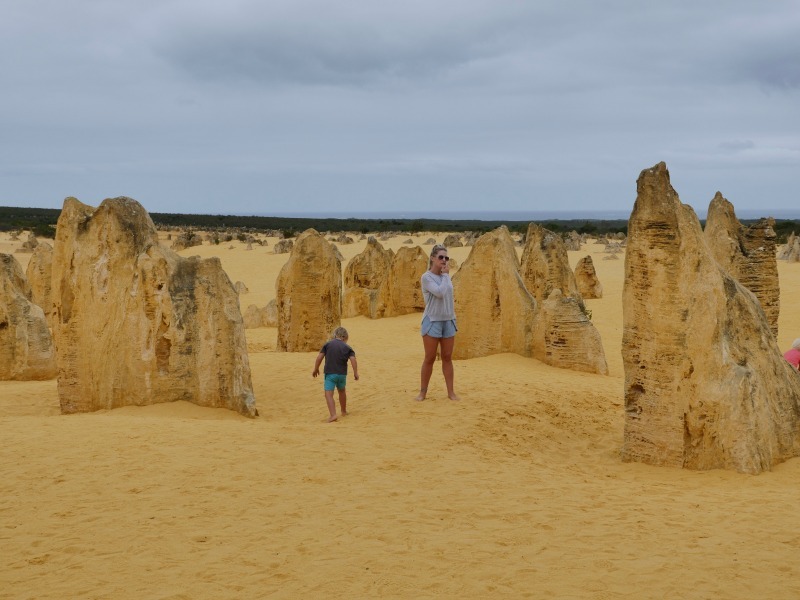 About 200km north of Perth, these limestone formations within the Nambung National Park portray an array of shapes and sizes. Originally believed to be a Lost City, the iconic tourist attraction is 100% a ‘must see’ place to stop and visit on your travels up the Western Australia coast. Not only is it family friendly, meaning you can pull up and get out of the car for some up close and personal interaction. Although it is forbidden to climb these eery pillars, give some hide and seek a go with the kids. Trust me, they’ll have a blast! The strange landscape is fascinating and you can really take your time exploring the view. The Nambung National Park also offers a walking trail and a lookout. If you’re keen to get out of the car and have a short adventure, follow the marked arrows up to the Lookout for a different kind of view. So how were they formed? Part of the West Coast of Australia contain limestone, which is produced by the combination of wind, rain and the cementing agent of calcium. However, a set of unusual circumstances helped create The Pinnacles. To try and put it simply without sounding too scientific… Sand dunes stabilised, rain leached through the sand dunes carrying calcium and this resulted into the dunes solidifying into a limestone. Next, a layer of soil formed allowing plants to grow, gradually this layer of soil formed into a hard cap, the roots from the pants eventually broke up the hard cap. This resulted in the Pinnacles developing under the surface. Due to the drier weather in the area, meant that The Pinnacles were exposed leaving these rock formations to stand among a plain of wind blown sand. Getting to The Pinnacles can be done as a day trip from Perth, approximately a 2.5 hour drive to get here. However, I do recommend allowing a couple of days to explore the whole area as there really is a lot to see in the surrounding towns also. It is a sealed road into the National Park, however if you are towing a caravan there is sufficient parking to unhook and leave your van. When driving the loop through The Pinnacles, some of the tracks can become tight and therefore not allowing enough space to navigate your caravan. It is also very safe to leave it unhitched here at the Discovery Centre. This is where you will also pay for your entry fee into the National Park which will cost you $13 per vehicle. The Discovery Centre is an interpretive centre that encourages you to find the hidden wonders within the Pinnacles National park. 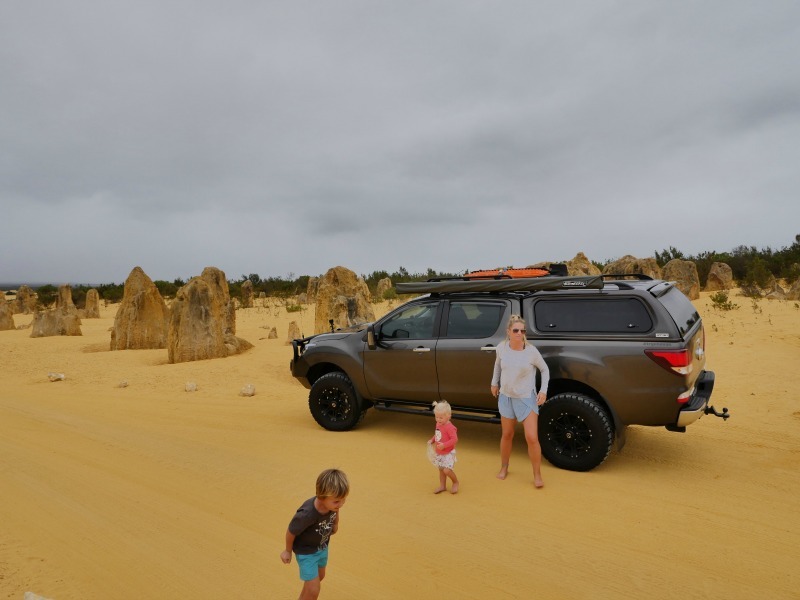 If you wish not to drive, the Nambung National Park offer bus tours at your leisure. Hats, sunscreen and water are all essential when taking on The Pinnacles. Once you leave the Discovery Centre and large car park you’ll drive down a well maintained track and this begins the loop of the National Park. It is hard and compact enough to drive any type of car on, definitely NOT a 4WD accessible track. Driving along the loop gives you an ever changing view and some hard-to-believe landscapes. The best bit is that you can really take your time, snap as many pictures as you like on the 4km loop. It really is a spectacular scene and we loved our time exploring this amazing landscape. 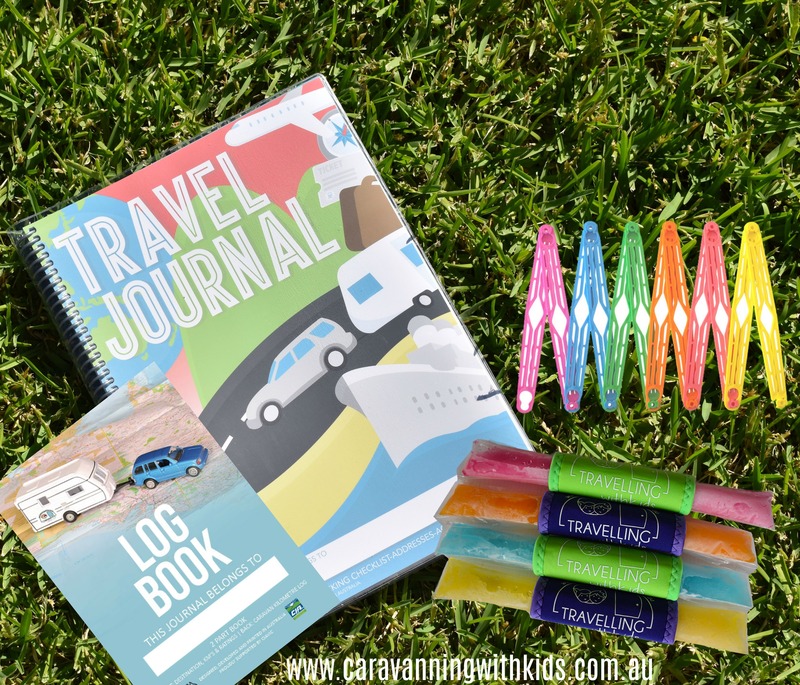 Have you checked out our SHOP?